News: Google is suspending sales of its controversial Glass augmented reality headsets in order to "graduate" the product, which is being given its own research division. Google's Explorer Program – which allowed enthusiasts in the UK and US to purchase the device for $1,500 (£990) – has been pulled by the tech giant. 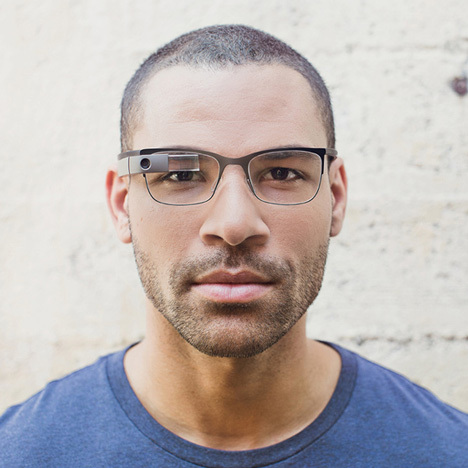 The Google Glass headset presents digital information to the wearer in the corner of the right eye in response to voice prompts, and can be used to search the web, watch and record films and read messages. Explorer was created to gather feedback about how individuals used the headsets day to day. It was first launched in the United States in 2013 and opened up to the UK last summer. But from 19 January, the company is stopping the programme and instead focusing on developing the technology within a new dedicated division of Google. "We're closing the Explorer Program so we can focus on what's coming next," said a statement posted by the team on its Google Plus page. Under current manager Ivy Ross, the Glass team will separate from the Google X department – which focuses on "blue sky" research. "As we look to the road ahead, we realise that we've outgrown the lab and so we're officially 'graduating' from Google X to be our own team here at Google," said a statement posted by the team on its Google Plus page. "We're thrilled to be moving even more from concept to reality." Ross' team will now report to Tony Fadell, whose domestic technology company Nest was acquired by Google last year. "Early Glass efforts have broken ground and allowed us to learn what's important to consumers and enterprises alike," said Fadell. "I'm excited to be working with Ivy to provide direction and support as she leads the team and we work together to integrate those learnings into future products. I remain fully committed to Nest and am equally excited about our work there, which continues to accelerate." Glass has proved controversial since it was previewed in 2013. After it was unveiled, the UK government considered banning drivers from using the augmented reality eyewear behind the wheel of their car. In March 2014, the headsets hit the headlines again when a woman was attacked in a San Francisco bar for wearing the device and the technology was accused of "killing" the city. Dezeen columnist Alex Wiltshire said that Glass posed "all kinds of awkward social questions" in a column about the future of wearable technology. Following these reports, it appeared that Google had intentions to make the devices look more appealing to consumers by partnering with eyewear company Luxottica and fashion designer Diane von Furstenberg. "We're continuing to build for the future, and you'll start to see future versions of Glass when they're ready," Google's statement said. Google Glass' lead designer Isabelle Olsson told Dezeen that the device looked like a cross between a scuba mask and a cellphone when she joined the project in 2011. Earlier this week, Google unveiled the latest prototype of its Project Ara modular smartphone, which is also undergoing continued development and testing before an official launch.